When youre looking for the best, put experience to the test! We have been in business for decades. The quality of our work speaks for itself. We are 100% committed to excellence. The picture below give you an idea of the remodel process. First step, removal of original shower. Second step, removing sheet-rock if necessary. Thirst step, install new sheet-rock, and add any inset shelving and/or benches. Fourth step, beautify with new tile and trim. 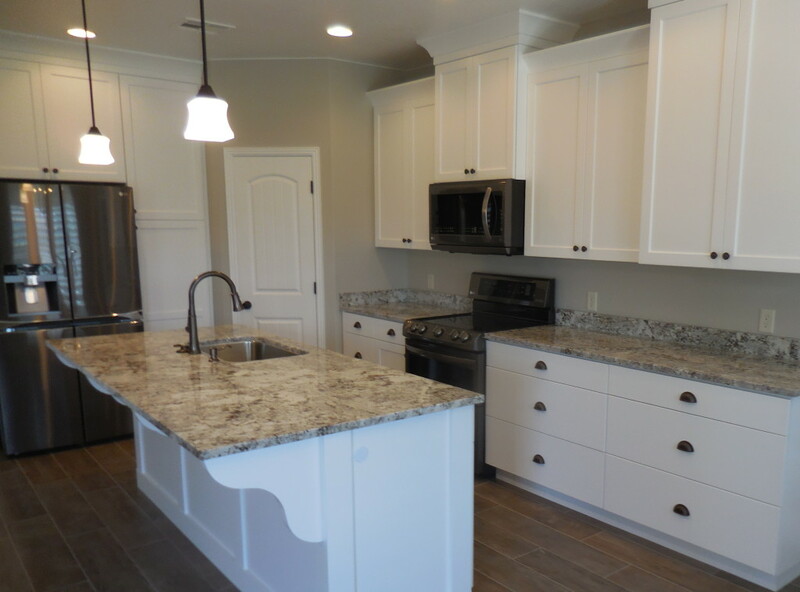 Some of the homes we have done have AMAZING design work with the accent pieces. It’s a blank canvas, you get to have fun with! You have heard the saying blank.. is the new black. The trend right now is WHITE anything that brings light into a space is welcome. Not sure if Joanna Gaines is to thank for setting that trend, but it sure does open a space up! No matter what the style is, we are prepared for it! This heat is NOT slowing the progress down on the Crimson Corner development. You would not believe the progress of this build! As you already know, southern Utah is one of the fastest growing cities in the country. There are new communities going in EVERYWHERE. Now, Crimson Corner will have it’s own commercial center. This location will be prime for any business. No matter what direction you look, there is GROWTH. Why wouldn’t you want to build a home or business here? We can be your general contractor. 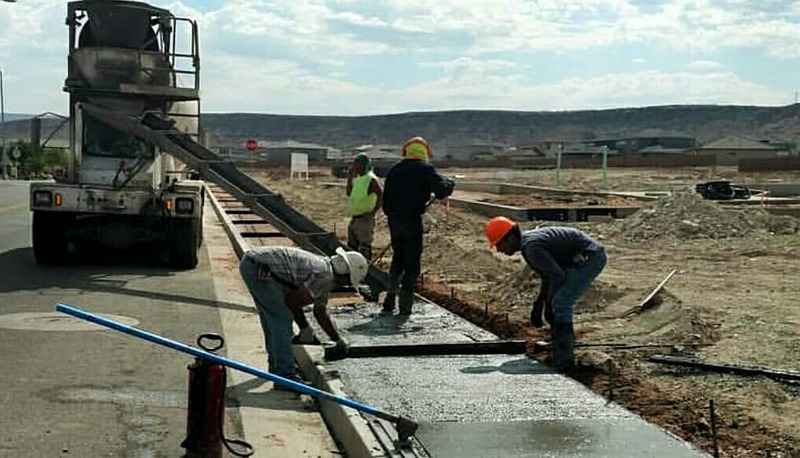 Proudly serving people across Utah and Nevada since 1976, our team of professionals is qualified and experienced enough to address all your construction needs. We are proud to say that we provide a level of experience that is unmatched by any other company. We have the knowledge and know-how to help you begin the commercial or home project that you hope to complete. You tell us your vision and we’ll bring it to life. 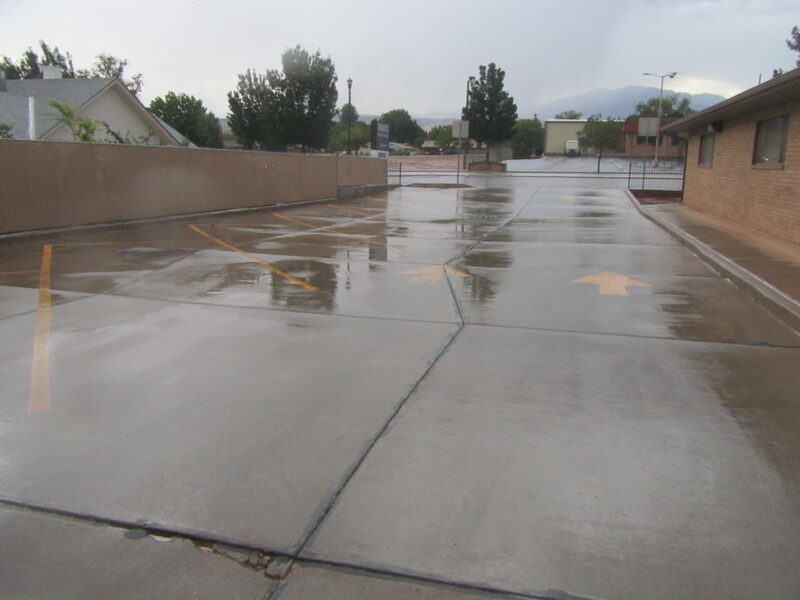 Black top has been paved and sidewalks have been layed. We could not ask for a better group of workers! Everyone has been busting their backs, and that’s not an easy task when you are working in 100+ degree temps. Our sub-contractors are absolutely the best to work with. There has been only good vibes and communication happening for this job. Thank you, Thank you for all your hard work! When you are ready to but the best to the test, call HiCaliber at 435-674-9338. We are COMMITTED TO EXCELLENCE! Raise your hand if you have ever heard the saying”the best compliment you can give, is a referral.” How do you feel about that? Do you think that it’s just a marketing scheme? Here is how we interpret that frequently used lingo. If you trust us enough to tell your friends and family about the work we have done, that gives us confidence in the work we have provided. 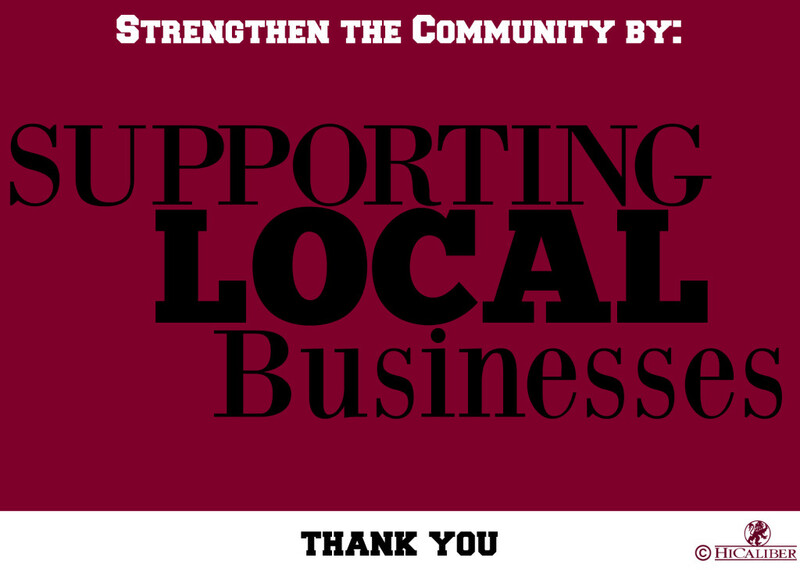 If you are supporting us because we are a locally owned business, we appreciate that! If you want those you work with to use us, it means you want your business acquaintances to work with an experienced company. So, NO, we don’t feel that the saying is just used to bring in more business. We feel it is proof that efforts have gone unnoticed and that gives us pride. To all our loyal supporters who have referred us to their neighbors, clients, family, and friends we say THANK YOU! 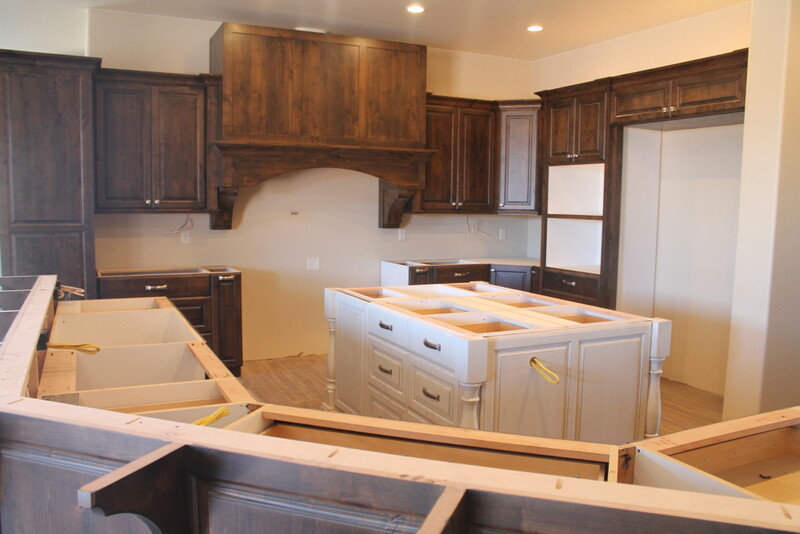 Experience really does make all the difference when working with a general contractor. 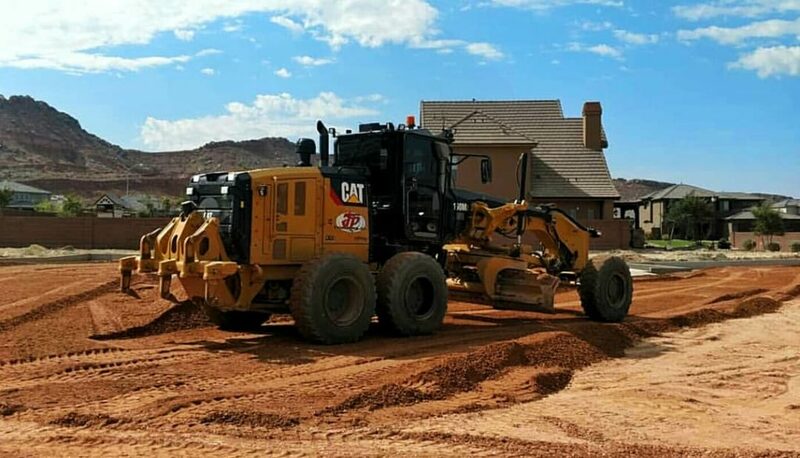 Proudly serving people across Utah and Nevada since 1976, our team of professionals is qualified and experienced enough to address all your construction needs. We offer residential and commercial construction, fire and water restoration, and home and carpet cleaning services. 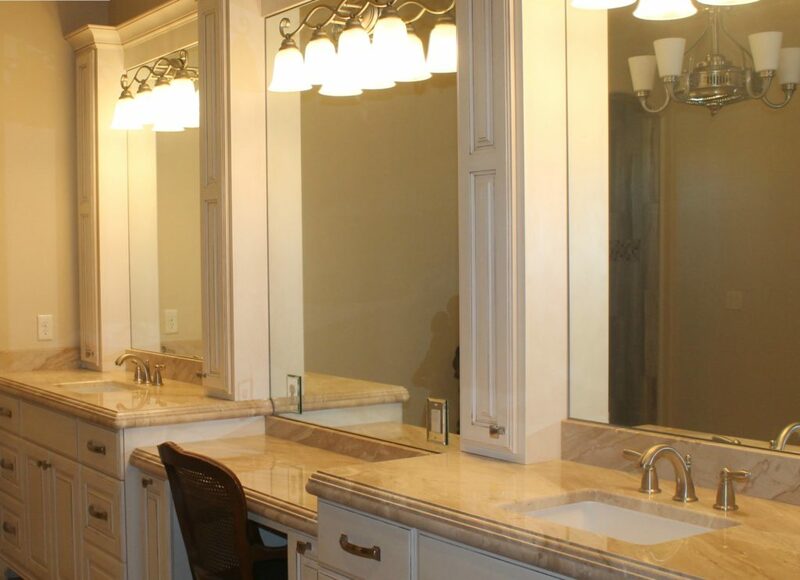 As a licensed and insured general contractor, there is no limit to the jobs we can complete for you! Our service is always high-quality and our prices are always fair. When you’re are working with a locally owned company, you are dealing with someone who may live across the street. When you put your money back in local businesses you are boosting the economy and providing job security to the area YOU LIVE IN. It’s comparable to shopping at a family owned grocery store, the cost may be a tad more, but you get high quality product and great customer service. With HiCaliber, you are treated like part of the family. Your concerns are addressed, not swept under the rug. Your phone call will be answered promptly and by someone who genuinely wants to talk to you. Energy efficiency is the new wave in new construction, and HiCaliber knows how to build economical, efficient buildings that are both functional yet eye appealing. 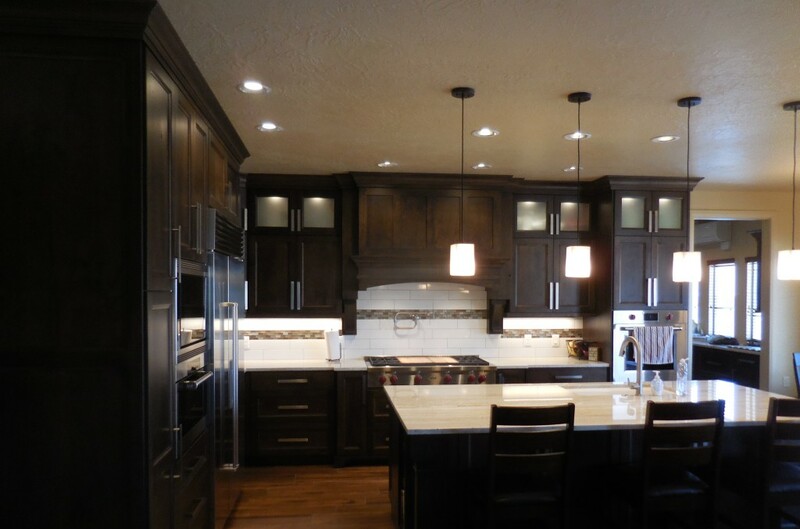 HiCaliber is an award winning builder with State, Local and National awards. 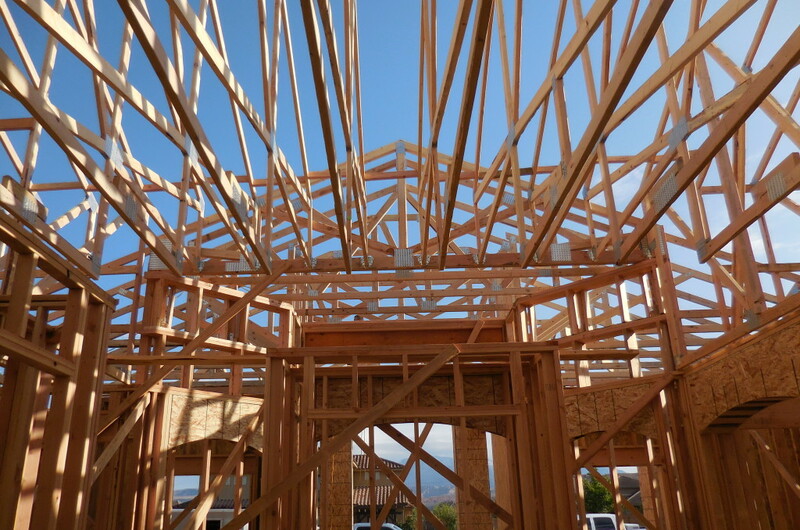 We have been building in Arizona, Nevada and Utah, as well as out of the country since 1976. With heat on the rise, the air conditioner is cranked. Wouldn’t it be nice to save money on energy bills? 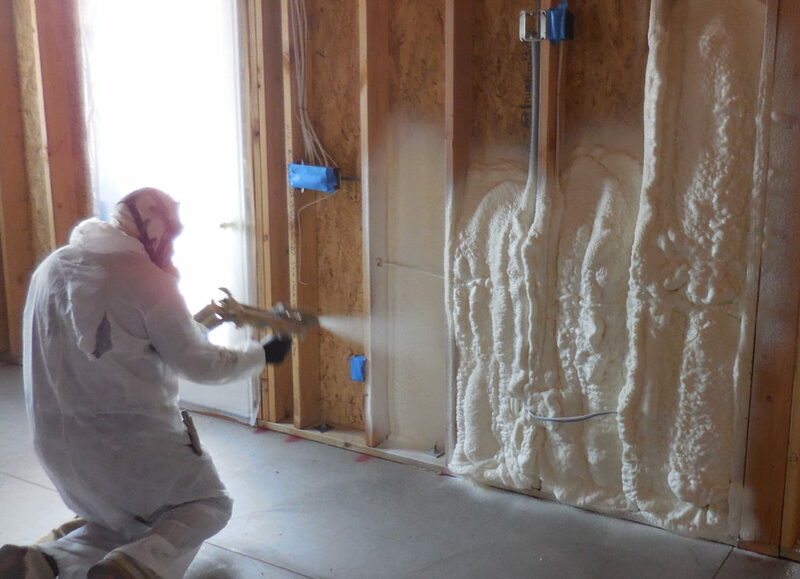 With the right building techniques and technology, HiCaliber is able to make your home “green.” By making heating/cooling systems work effectively, properly insulating the home, and using materials that are energy efficient. The cost of homes in southern Utah are on the rise, and we are talking $100,000 difference from 10 years ago. However, for the most part, wages have remained the same. Is it more cost effective to buy a home that might have a few things you may have to settle with, or BUILD from the ground with all the custom details you have dreamed about? We will let you do the comparisons! 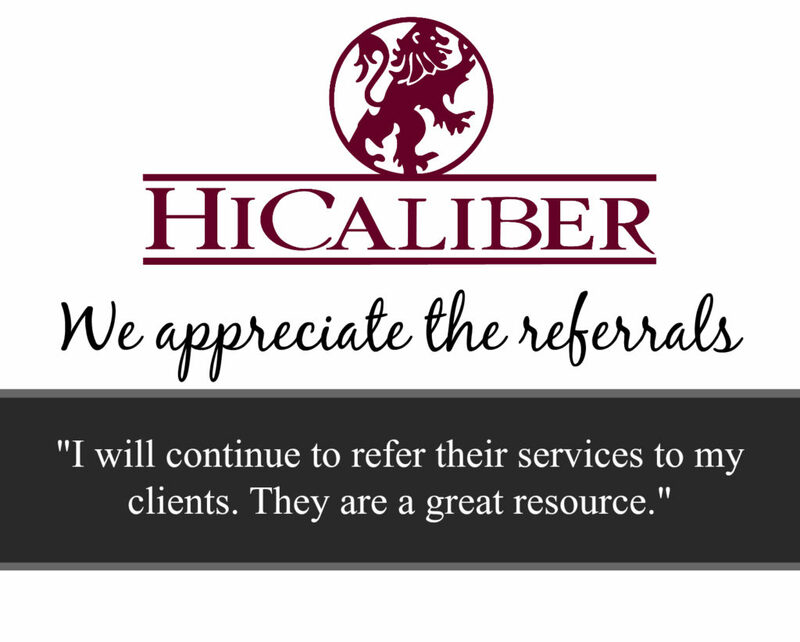 When it comes to providing excellent results and customer satisfaction, we can confidently say that the HiCaliber team is at the top of its game! Our team of professionals is qualified and experienced enough to address all your construction needs. In the home and commercial repairs industry. Sometimes your space just needs a new face. And by that we mean PAINT! 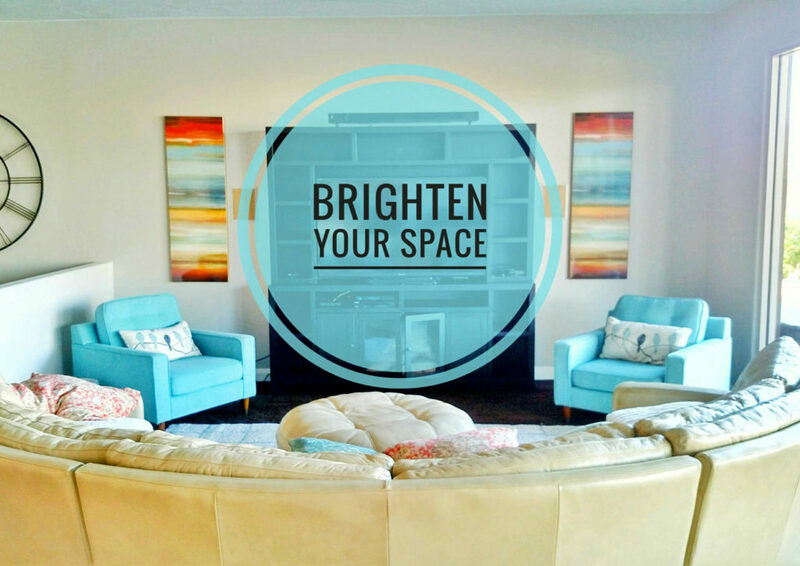 You would be surprised how much a lighter shade will brighten a room. 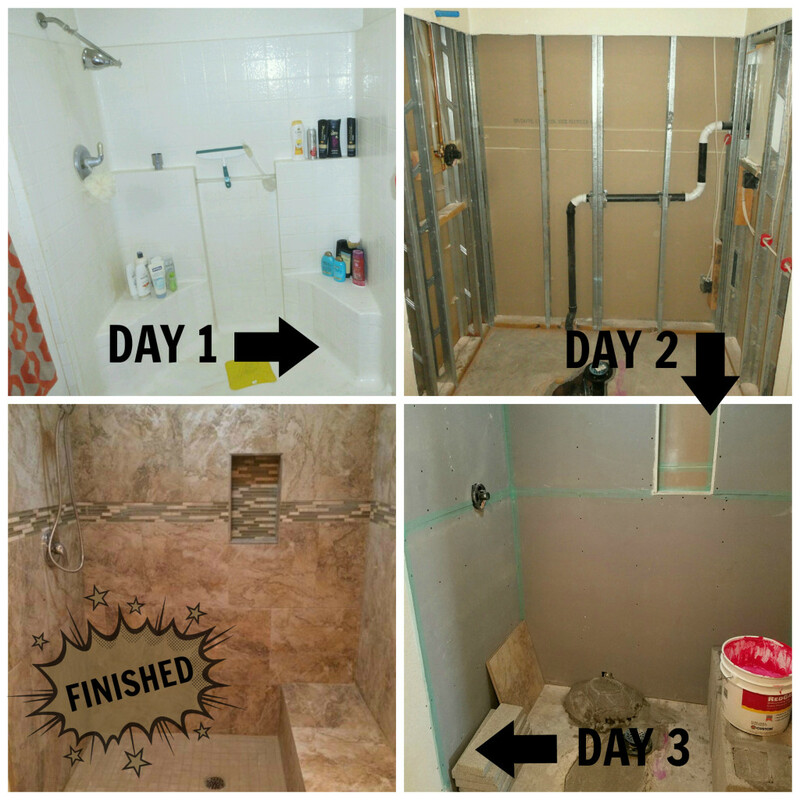 This home owner said adios to her tan walls and we are loving the result. Change can be good! By bringing more light into her home, she will more than likely feel more energized. What is it about natural light that lifts our spirits? It’s a thing, we aren’t just making that up. With HiCaliber’s handy man services, your home will not need to feel sad. We have the equipment and the skill to repair just about anything that needs fixed. Our technicians are certified. We offer anything from fixing the hardware on a door to new construction. Our reputation speaks for itself. We are equipped to handle commercial and residential services. If your business needs some updating or repairs we are ready. If you manage a property, and you notice something has become an eye sore, give us a call! We are feeling the need to bring back an old friend. To date, this has been one of the most successful before and after cleans that we have done. There is something so satisfying about seeing that line, from before to after. Chances are, with the hustle and bustle of life, the last thing on your to do list is to have your flooring cleaned. Let this picture be your “light bulb” that it’s time for some carpet cleaning service! Heavy traffic areas are always hit the hardest. There is no way to prevent a traffic pattern unless you want to take your shoes off. Even still, socks CAN track in dirt as well. And don’t even think about walking about bare foot! That’s right, your cute little toes are NOT as clean as you think. Naturally our bodies produce oil, even our feet! 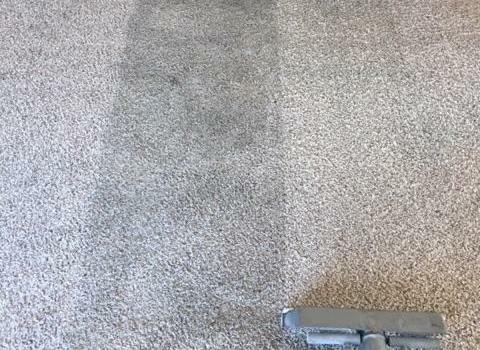 While you might think you’re keeping your carpets cleaner, you’re actually wiping that oil on the fibers. What do you get when you add oil and carpet fibers? You get carpet that attracts EVERYTHING and it sticks. We also recommend carpet protectant. This application is inexpensive and very worthwhile. 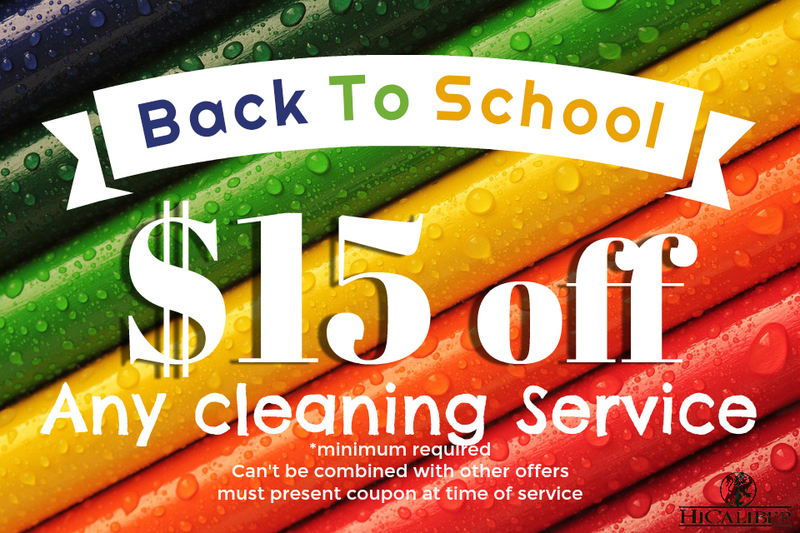 With school starting back up soon, now is the perfect time to have your carpets done. While they are away, let your home get some TLC. 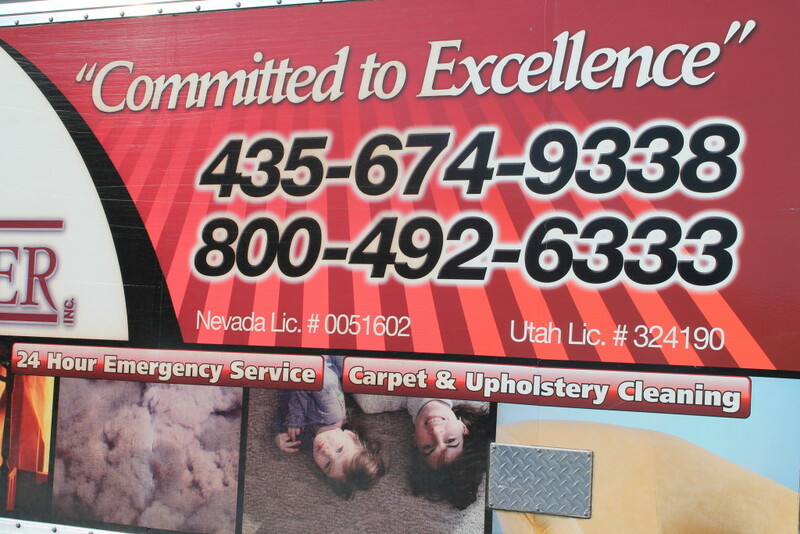 We can clean the carpet, tile, and upholstery. You would not believe some of the things we have removed from upholstery! And who wants to hand wash their grout with a toothbursh? If you raised your hand, may we recommend some outdoor fun instead. When you’re looking for the best, put HiCaliber to the test. Experienced and licensed professionals with top rated customer service. Check out our Instagram and Facebook pages. We got a little too excited for lower temps and moisture! The rains came down and the floods came up! The floods left their mark. 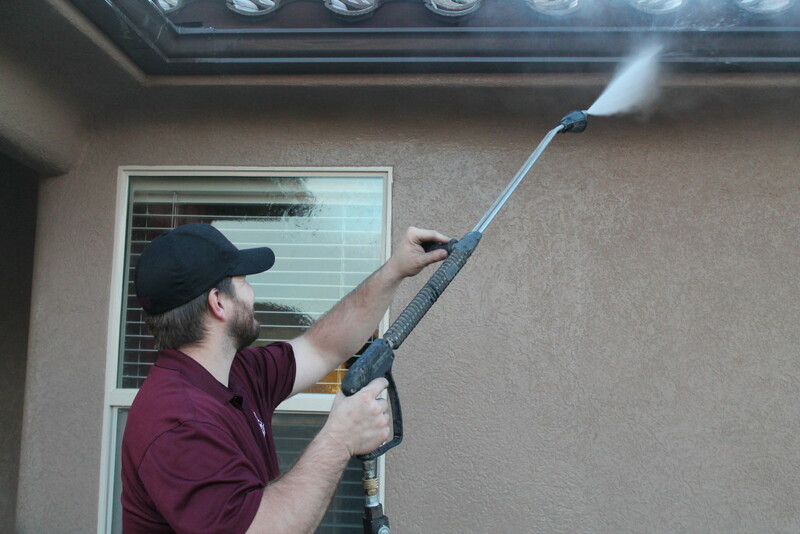 You would be surprised how much pressure washing can improve the exterior of your home. 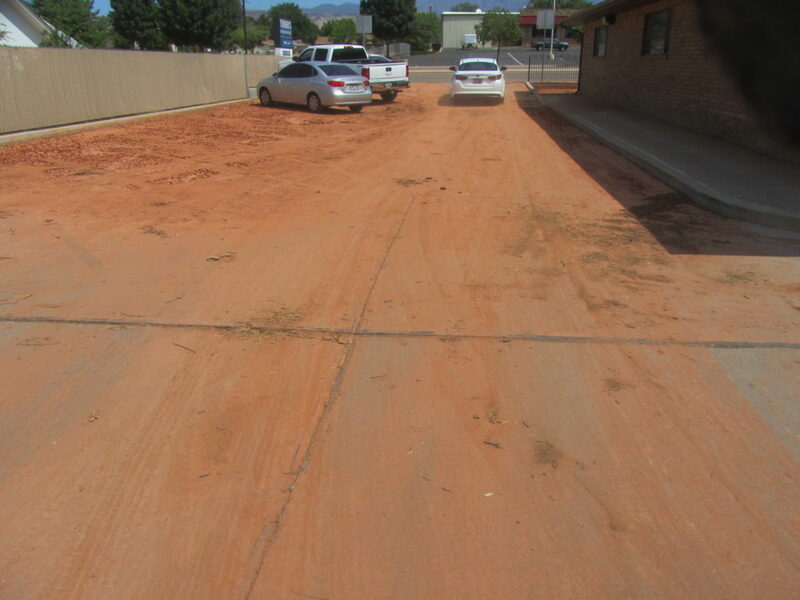 Stucco is common in southern Utah, but it is FAMOUS for holding dirt, especially red dirt. There’s tiny holes that are near impossible to clean without the use of a pressure washer. We have even gone to the lengths of meeting up with drivers at locations to clean their “haul.” We don’t mind coming to you! Our pressure washer is 100% versatile and there isn’t many locations we can’t get to. 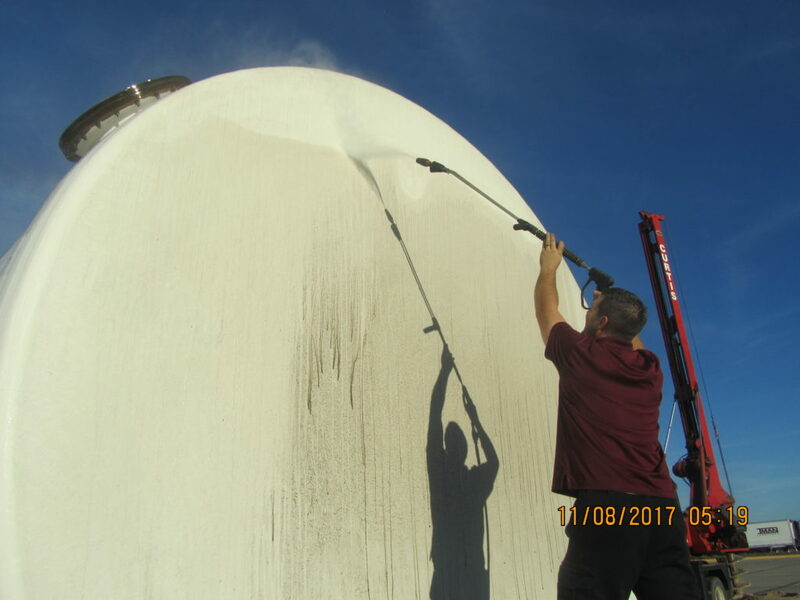 If you are ready to give your surfaces a much needed face lift… especially after the storms, give us a call! 435-674-9338. 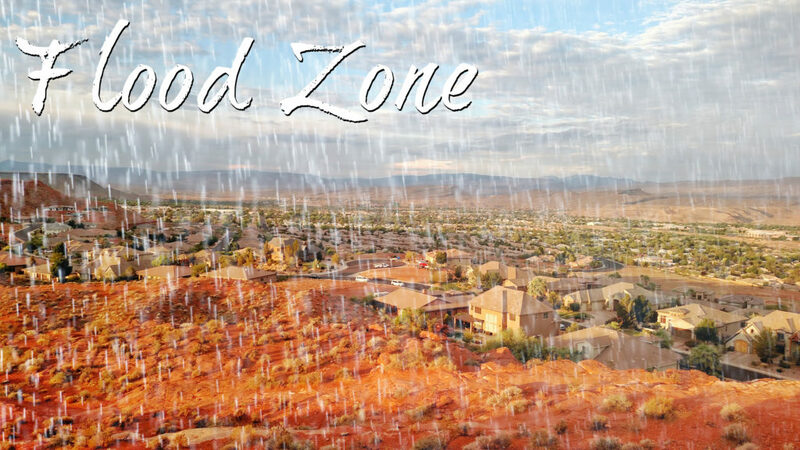 As most of you know southern Utah turned into a flood zone over the weekend. That being said, our crew was working around the clock trying to keep up with all the rainfall and damage that was caused. Thursday night was the first round of flooding. When it rains like it did, the ground can’t keep up with the water. Rain hits HARD here in southern Utah. Without proper absorption, the water collects and overflows the gutters. Residential and commercial properties that sit at the lowest elevation will end up being the collection source. Water began to flow under doors, through basement windows, and through driveways. So, what should you do if you find your property taking in water? 1. Get as mush as you can OFF the ground. This means elevate it in some way. This will minimize damage, and make clean up a lot easier. 2. Extract the water as quickly as possible to prevent moisture soaking into drywall and floorboards. That process will require a professional restoration company. We have equipment made to remove the water at a rapid pace. 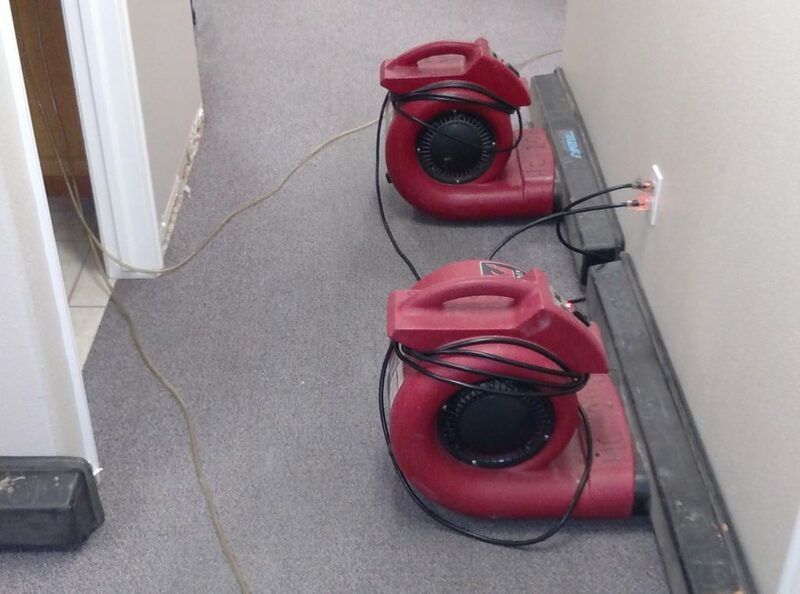 Our extractors combined with our air movers will keep damage at bay. 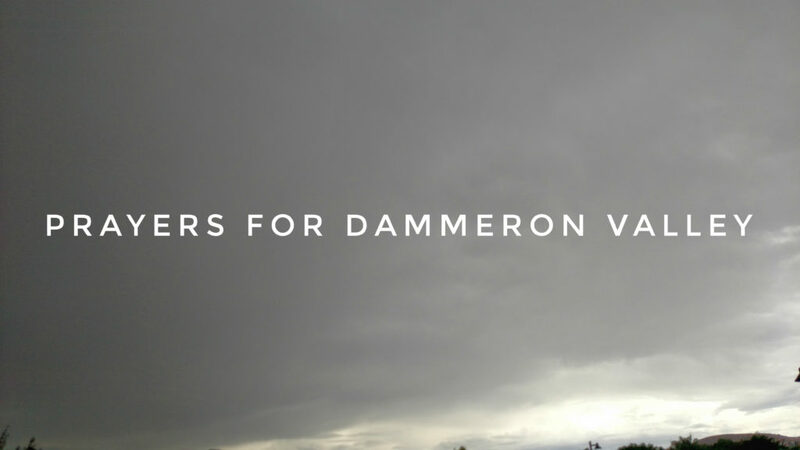 Dammeron Valley was hit the hardest. They were actually flooded TWICE. The storm became so out of control, law enforcement had to close the road down. On Sunday morning, a group of our technicians volunteered their time to help with the damages. We were able to donate some equipment as well. This type of disaster can be so overwhelming. Not just physically, but emotionally. Our thoughts and prayers go out to the residents that were affected. The expenses to repair that type of damage are significant. Every year, an area in southern Utah gets hit with floods. A few years back, it was Santa Clara. Luckily no one was injured, but it takes a lot of time to recover from devastation. 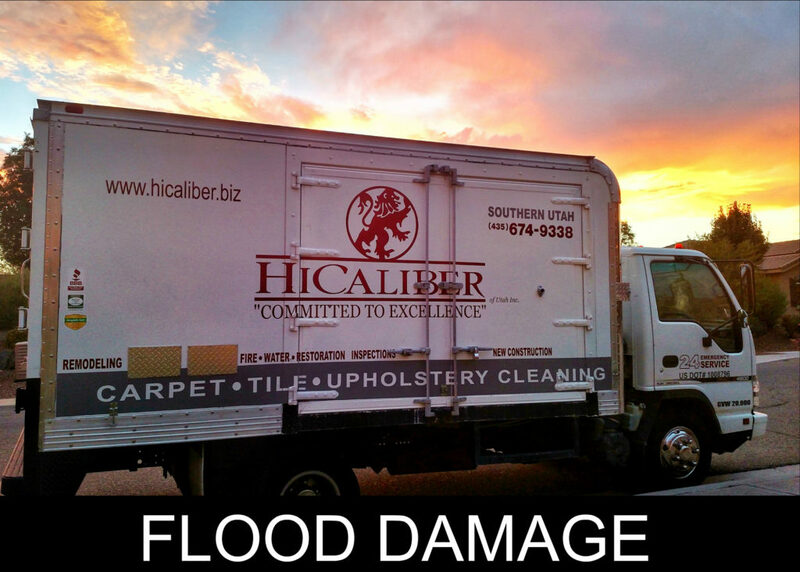 Does it make you feel better knowing HiCaliber is available 24/7 if your property experiences a flood? Rain or shine, we are there for all of your restoration needs. The review noted above says it all! We are knowledgeable thanks to decades of experience. Our customer service goes above and beyond anything most home owners expect. We are FAST! 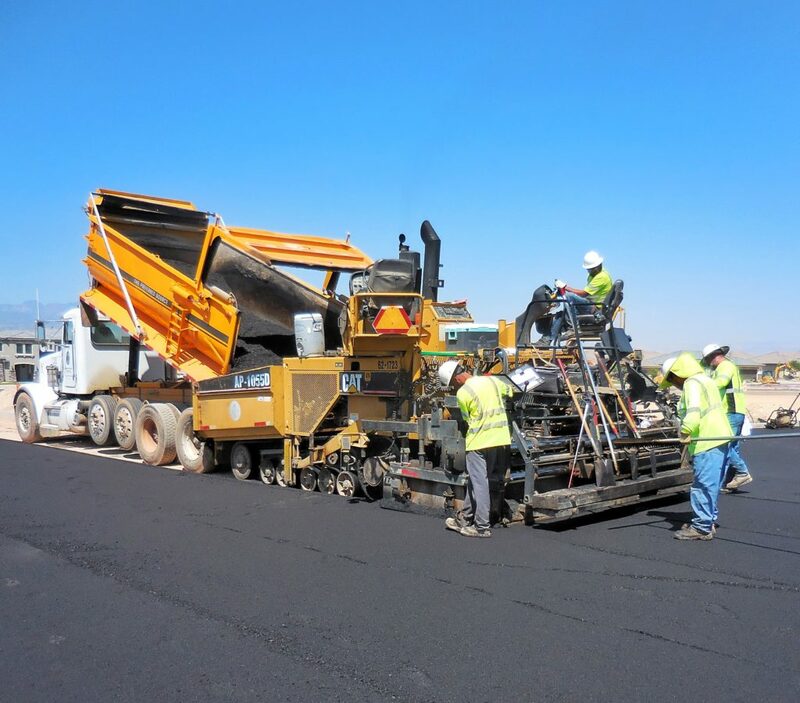 With our skilled technicians, there is rarely a bump in the road when it comes to our restoration. We know what to do and how to do it. Quality goes hand in hand with productivity. We will not leave you stranded in a mess, we get the job done right the first time. 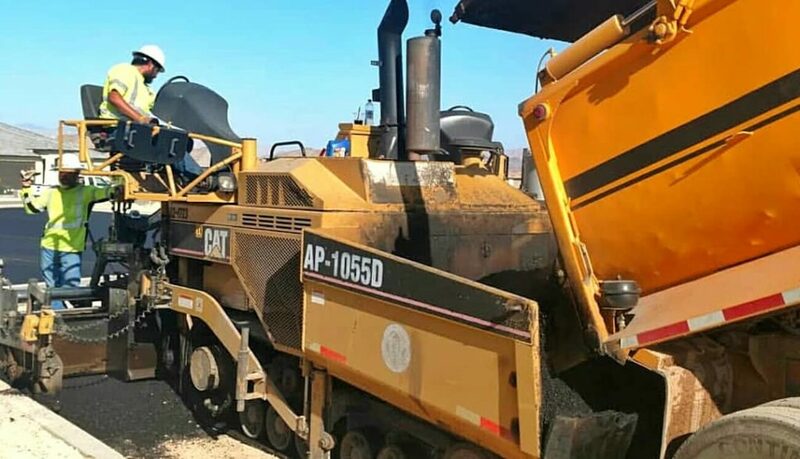 We use top of the line equipment to get your property to “like new.” After all, that’t the goal right! Water extraction is the first step, but what about the odor? Like mentioned above in the review… “The odor was gone.” NOT just masked, actually removed. 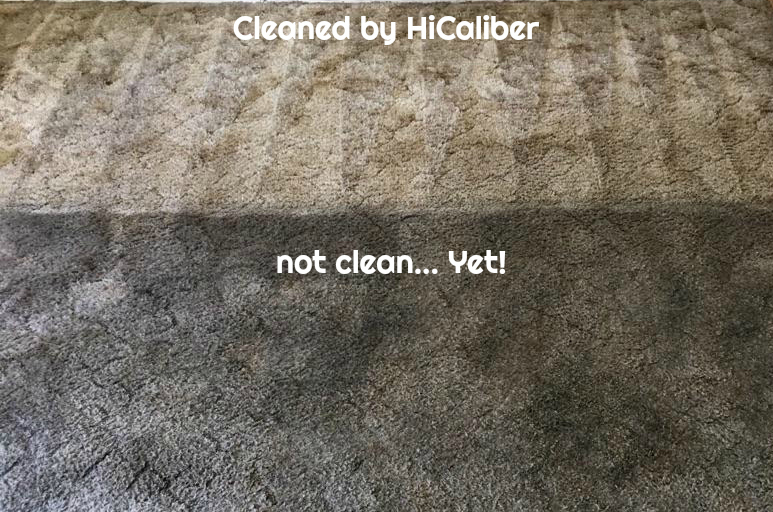 Thankfully, the HiCaliber specialists employ professional cleaning techniques and are equipped with Ozone and Thermal Fog machines to ensure professional quality cleaning and odor improvement. These machines, coupled with interior premium detail, are highly effective at transforming air quality. If you find your home or business in a disaster, such as a flood or leak, give us a call as soon as possible. If properly treated in a timely manner the damage can be minimal. If the moisture sits, it can be problematic and a source for black mold development. DO NOT try to repair the damage on your own. You need specific equipment to detect moisture damage, without detection, the damage will only get worse. Whether you are in need of an entire home makeover or just want one room “freshened” up. HiCaliber will take good care of you. We are general contractors with decades of building experience. 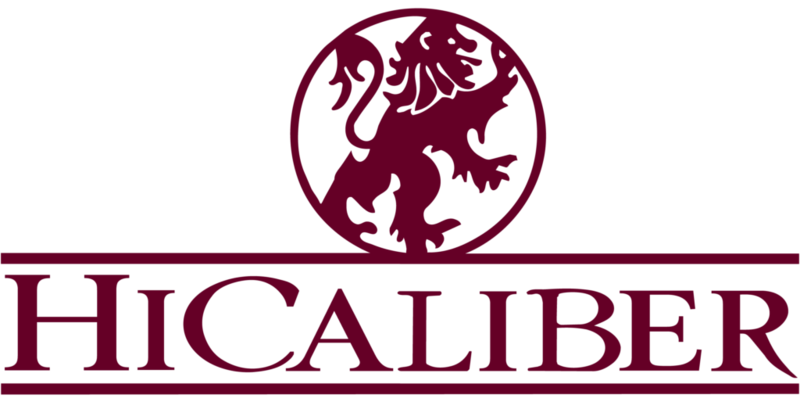 When you’re looking for the best, put HiCaliber to the test! The example above is the most recent remodel we have been contracted for. Kitchens are the best way to build equity in your home. If you are looking to sell, and you just aren’t getting interested buyers, it could be the kitchen. We all know the kitchen is the heart of the home, it’s usually where the most time is spent (other than sleeping). If someone can’t picture themselves entertaining in that space, chances are they will pass without looking at anything else in the home. 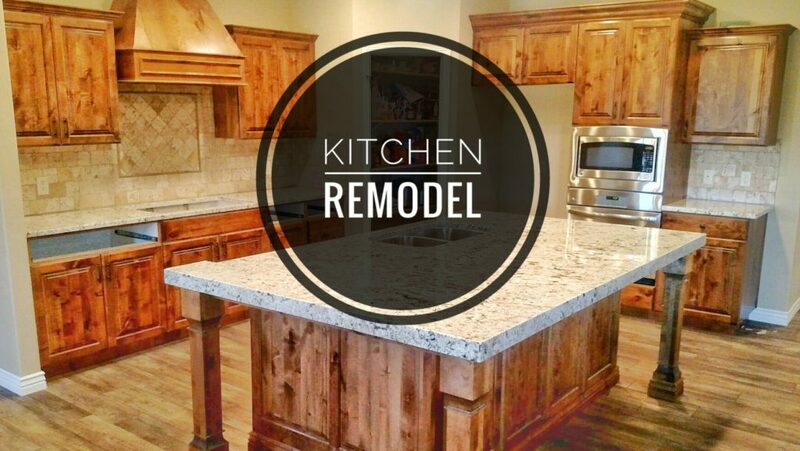 You don’t have to be in the selling market to remodel a kitchen either. You can update or change the layout just because you need something more functional or aesthetically pleasing. Trends change, and that’s what makes it so fun. If you aren’t ready to leave your nest, that’s just fine! You work hard, why not enjoy your home to the fullest. 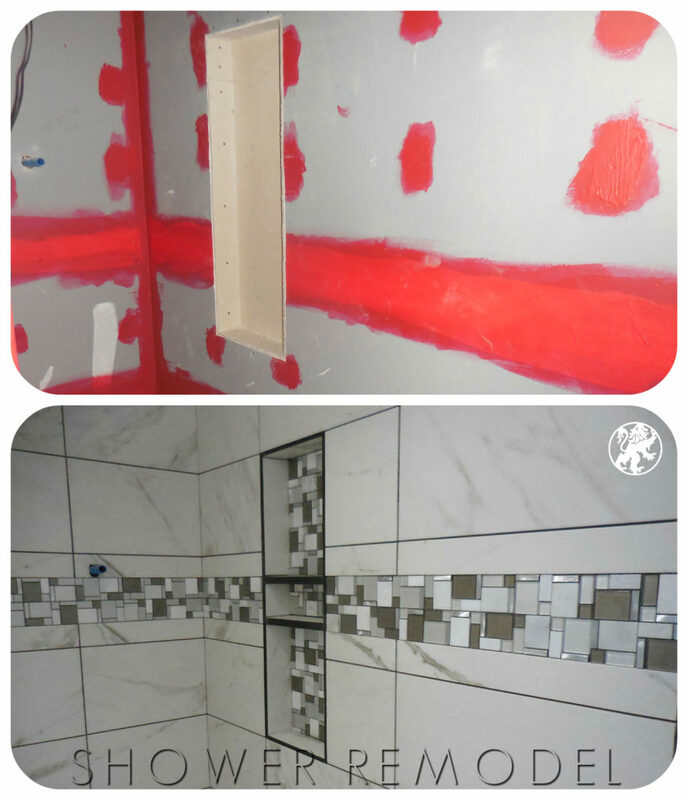 The following images are from previous remodels HiCaliber has done. As you can see from the two examples, our work is not cookie cutter. We like to build your new space as unique as you are. Not everyone likes the same thing, that is why it is important to have a wide range of skills and techniques. We take pride in knowing there ISN’T a style we can’t do.